Probably one of the most surprising events that happened for my project earlier this year was being informed that Hollywood had been chosen as one of the representative forest sites in Ireland to be assessed for the COFORD (Council for Forest Research and Development, Ireland) project on new Low Impact Silvicultural Systems (LISS). By a sheer stroke of luck I had arranged for my local forester to thin the forest the week before so Hollywood was looking pretty good. During the assessment I was very happy to meet Lucie Vitkova, a PhD student who is working on the COFORD project. Lucie is collating all the information gathered from sites that are on the LISS database, those forest sites that are being managed under new close-to-nature continuous cover forestry methods as part of her PhD in forestry science. Lucie has just written this overview of the LISS project (see below) and is preparing two journal articles on this research. I never imagined Hollywood offering scientific data when I started out this project but that’s the value of an emergent transdisciplinary eco art practice – you can ‘start anywhere, follow it everywhere’*. So in recent weeks I’ve been thinking about the project from a scientific perspective again. My original training was in science research and I’ve recently been reading US writer, historian John Michael Greer’s ‘The Ecotechnic Future‘. Greers is a leading commentator about peak oil, civilization and cultural change, and ecology and an interesting point he makes about the future, where it’s very likely to increasingly difficult to fund science, is the value of more of us understanding the scientific method, the process of science, rather than relying on accrued knowledge or complex technologies. That is, in an age of ever decreasing resources, understanding the scientific method to evaluate sustainable measures will be important. Anyway, it had me thinking that I should value Hollywood more as a proper trial site and formulate more clearly a scientific methodology to track the changes in flora and fauna (to gauge the increasing biodiversity that will result due to the forest methods I employ) and getter a proper management plan in place (typically for managing forests, you and your forester set out a management plan for sometimes 60-80 years ahead – it details the thinning regime etc). In regards to assessing the flora and fauna, I’ve had the good fortune to have done something like this before when I help assess the biodiversity for a UN project for the small unpeopled atoll of Suwarrow, in the south pacific. However, I’m not an expert in Irish flora and fauna so my first thought was to get in contact with an ecologist I’ve met recently. Surprisingly, ecologist Faith Wilson, who has an interest in forest ecology, was working in my area and a few weeks ago came and spent the day looking at the flora and fauna of Hollywood. Details of this will be coming in a future post but isn’t it surprising how one thing leads to another. The COFORD (Council for Forest Research and Development, Ireland) project on Low Impact Silvicultural Systems (LISS) in Ireland is a four year project, now in its third year aimed at developing a greater understanding of Low Impact Silvicultural Systems and their use in Ireland. A thinning experiment aiming to assess the suitability of three thinning patterns to initiate the process of transformation of young Sitka spruce stands (Picea sitchensis (Bong.) Carr.) to LISS in Ireland. Two young (18 and 19 years-old) Sitka spruce forests were selected for this experiment since this species accounts for the largest proportion of the Irish forestry estate. Three thinning patterns (low thinning, crown thinning and graduated density thinning) were replicated three times in both forests yielding eighteen experimental plots altogether. A database of forest properties managed under LISS was established in order to assess to what extent has LISS been used in Ireland. The database included e.g. forest property size, age, location, species, length of LISS management, specific silvicultural system used etc. A random sample (10%) of the forest properties was selected and the forest properties were visited and inspected to see if the information provided by forest managers and forest owners match the state of the forest property on the ground. Six AFI (Association Futaie Irrégulière) research plots were set up throughout Ireland (five Coillte Teoranta forests and one private forest). Inventory of each plot was conducted. The measurements are to be repeated every fifth year. In the meantime all management inputs (time and expense) and outputs (timber volumes and revenues) will be recorded and the performance of the forest management is will be assessed over time. 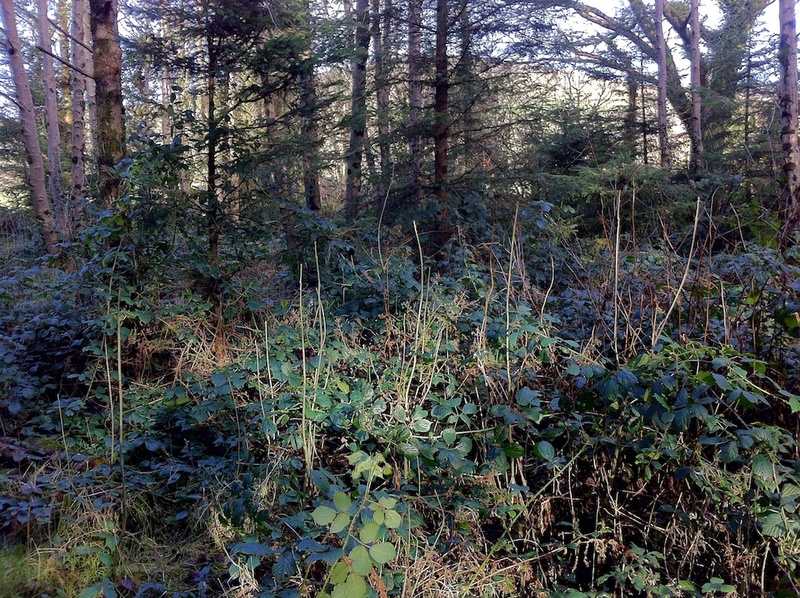 A survey of forestry professionals was carried on in order to investigate their opinions of and attitude towards the practice of continuous cover forestry in Ireland. An economic study of LISS including a literature review of work published on the economics of LISS will be conducted. Further work on the economics of the transformation process in young Sitka spruce stands to LISS management will also be done.